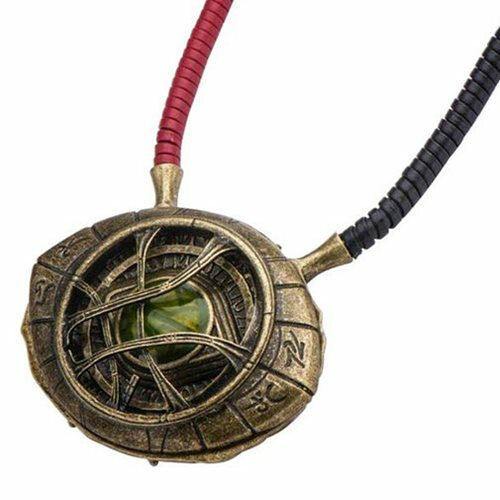 With the Eye of Agamotto necklace, let your imagination run wild. Use the powerful relic to seek the truth and gaze closer into the souls of those around you. Just remember: the magic is in your hands. This limited edition item is displayed in an exclusive collectors box marked inside with the words "Marvel Doctor Strange" printed in gold foil. The limited edition item includes a certificate of authenticity. The necklace cord measures approximately 32-inches long.